Following the success of the first phase of its Uptown master-planned community in Mississauga, Pinnacle International is ready to launch the second phase this Saturday, November 14th at its Hurontario Street sales centre. After beginning registration in the spring, Amber Condos will hold its grand opening at the Pinnacle Uptown sales centre at 12pm. 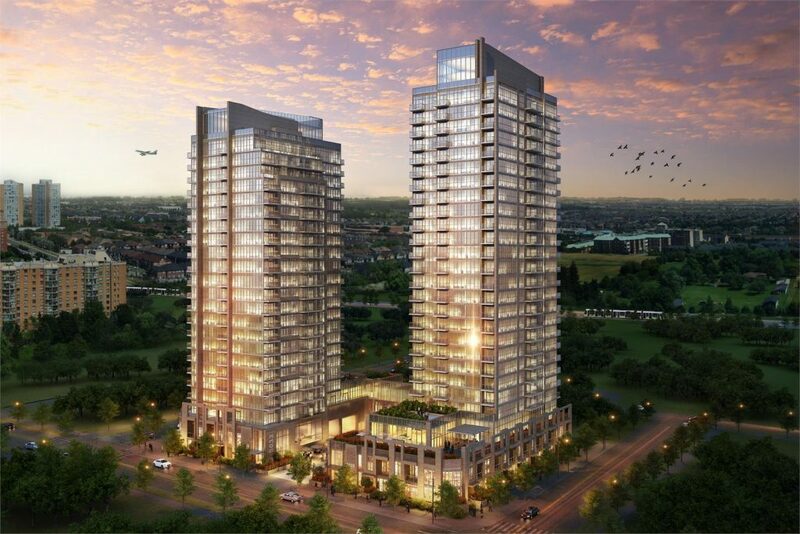 Interested condo buyers can head to 5044 Hurontario Street at Eglinton Avenue West to get in on the ground floor of the popular master-planned community. Crystal, the first phase of Pinnacle’s 36.5 acre Uptown community, launched in early 2012 and was a big hit among Mississsauga condo buyers. Construction began later that year and Crystal welcomed its first residents in early 2015. Pinnacle also launched The Marquee Townhomes, a collection of townhomes in the Uptown master-plan, in 2013. Like all members of the Uptown community, Amber residents will have easy access to abundant green space, like the Kingsbridge Commons and Huron Heights, all while being situated only minutes from the urban conveniences of downtown Mississauga. Prices for new homes at Amber start from the $200,000s. Head to the grand opening this weekend to learn more!